The earing of the deep drawing 3104 aluminum alloy depends on the texture of the sheet. This re-search found that increasing the number of rolling passes in the first cold rolling can enhance the intensity of the cold rolling texture components. After annealing, the strong cold rolling texture form the strong recrystal-lization texture. This strong recrystallization texture is largely retained after the finishing cold rolling, which effectively lowers the anisotropy of the alloy and finally reduces the earing tendency. A. Oscarsson, W. B. Hutchinson and H. E. Ekstrom. Influence of initial microstructure on texture and earing in aluminium sheet after cold rolling and annealing. Materials Science and Technology, 1991, 7(6): 554-564. 唐建国, 张新明, 徐敏, 欧军. 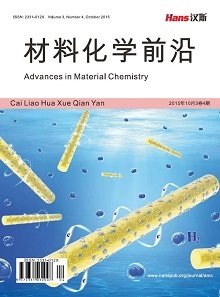 3014 铝合金热粗轧板得组构梯度及其对热压缩变形后退火组构演变的影响[J]. 中国有色金属学报, 2010, 20(10): 1932-1940. 曹勇, 黄光杰. 3104铝合金的均匀化退火工艺[J]. 机械工程材料, 2010, 34(1): 9-12. 张新明, 李飞庆, 唐建国, 徐敏, 黄平, 郭金龙. 3104铝合金铸锭均匀化过程中的溶解析出行为[J]. 中南大学学报: 自然科学版, 2009, 40(4): 909-914. Z. D. Liang, J. Z. Xu and F. Wang. Three dimen-sional orientation analysis of textured materials-ODF analysis. Shenyang: Northeast University of Technology Press, 1986: 106. H. J. Z. Bunge-Metallkd, Technological Applications of Texture Analysis, Z. Metallkde, 1979, 70(7): 411. W. M. Mao, X. M. Zhang. Quantitative texture analysis of crystalline materials. Beijing: Metallurgical Industry Press, 1995: 96. Y. Zhou, L. S. Tóth and K. W. Neale. On the stability of the ideal orientations of rolling textures for F.C.C. polycrystals. Acta Metallurgica, 1992, 40(11): 3179. O. Engler, H. E.Vatne and E. Nes. The roles of oriented nucleation and oriented growth on recrystallization textures in commercial purity aluminium. Materials Science and Engineering, 1996, A205(1-2): 187.